CELEBRATING 11 YEARS OF AWESOME GIFTING! 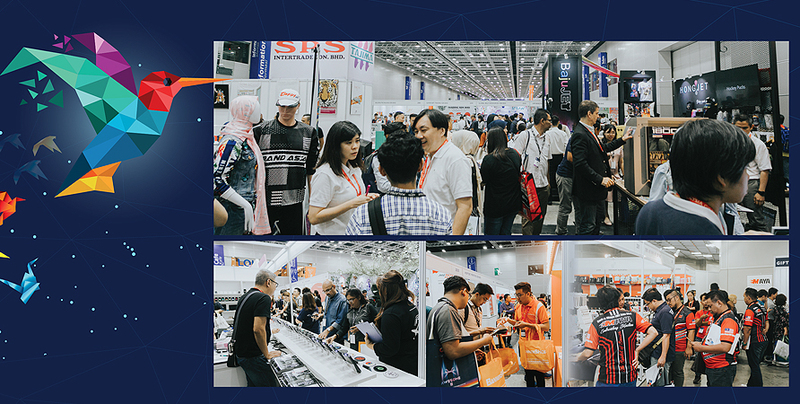 With a successful 10 year track record, the 11th Malaysia Gifts Fair 2019 is a significant annual exhibition that industry entrepreneurs and professionals look forward to. It is South East Asia’s premier and most successful annual trade event for the gifts and premium industry and will continue to attract massive crowd to its 3-day event as a leading trade fair. 2018 was a record breaking year with 13,000 visitors from Asia Pacific, Europe and Australasia thronging the 4 exhibition halls. Organised by MGPA (Malaysian Gifts & Premium Association) and endorsed by MATRADE (Malaysia External Trade Development Corporation) the Malaysia Gifts Fair is a highly effective platform boasting of hundreds of exhibitors from ASEAN and APAC region offering a wide range of innovative gift ideas. It will continue to retain its pole position as the largest Gifts, Premium & Stationery Fair in Malaysia and the ASEAN region. • Malaysia Gifts Fair is an international quality show with high volume of international exhibitors and visitors. Build business opportunities and network through interacting with potential investors and buyers from Malaysia and ASEAN region. • Opportunity to showcase your products to thousands of trade visitors and key decision makers. • Maximise brand exposure to an international audience to generate leads and sales. • Opportunity for business partnership and collaboration. In 2018, Malaysian Gifts Fair introduced the Gift Printing Services Pavilion which showcases printing service providers for the gift and premium industry. For 2019, we encourage gift printing service providers from the following categories to participate as exhibitors in the fair. Attracting over 13,000 trade visitors, the Malaysian Gifts Fair 2019 is an awesome platform for businesses related to the gifts & premium industry to showcase their services. The following service providers are encouraged to participate and tap into the business potential of the fair. The 11th Malaysia Gifts Fair 2019 is the best gifts and premium fair in Malaysia and the ASEAN region attracting thousands of trade visitors. Over the past 10 years, thousands of exhibitors have invested and benefitted from the fair. Don’t miss this awesome opportunity to showcase your products and services and to expand your business network! So, sign up now to avoid disappointment!